The 308 is using over 11 litres per 100k's.. And the wife has been driving it! Not much freeway driving. 1. Any ideas what might be causing the high fuel consumption? 3. Have PSA fixed the issues with the feed pipe if I order a new one? I used a telfon braided hose with heavy duty fixings I also went about 3mm wider for better oil flow. To help with the carbon build up (it maybe too late for you though) I got the rcz top blanking plates and took out one pipe breather pipe and then fitted a oil catch can to the other breathers. I did this at 28k ish my car is now on 59k with no issues and no oil leaks. Ps don't get a peugoet oil feed pipe go aftermarket!! Thanks! How long did you make the hose? I took the existing metal solid pipe off and took it to a telfon braided hose place (cant remember the name) they make braided hoses for boilers and mine works etc all heavy duty anyway cost me $140 all up. At a guess as I cant remember now it may of been about 5inch longer than the solid pipe, the blanking plugs you just need two they are about $4bucks each you need to get them from a Peugeot rcz 2012 onwards one is on the back of the head to the left (when looing from the front of car) and it leads around to the right of the block they just twist and turn to come out. with regard to fuel consumption, I would suggest around 11lt per 100km is normal for stop start city driving. By way of comparison, my C5 with the THP engine returns 10.8lt per 100km. Citroen claims 11lt per 100km for urban conditions(which is what I consider our car to be operating in) and it drops to around 5.8lt per 100km on the highway, which I have achieved. XMy car weighs about the same as a 308SW and has a six speed auto. What year is your 308? Does it have a 4spd or 6sp auto? with regard to the oil feed pipe, have you tried contacting peugeot for a goodwill claim - it is after all a known problem. Otherwise, there is a US website called Detroit Tuned - look them up. They specialise in Mini and have developed upgraded oilfeed pipes for Mini turbos (essentially same engine as the THP). Their prices seem reasonable and are better alternative to the stock pipe. Thank you so much guys, don't have the time to deal with Peugeot so will probably order the lines from Detroit tuned. Do we know what model mini has the same engine? I'm guessing this is the oil feed kit. I have a 4 speeed 2009/2010 model. Thanks again guys, really helpful. Can you guys please recommend a good oil for this engine please? Cheers! Portal, looks about right that kit. Maybe email them - they have bound to have sold a feed kits to pug owners. Order the little heat shield from them also if you don't have it already. What's the mileage on your pug? Are you using any oil? I am using 5/30 castrol edge as are others in this engine (mini recommend this for their cars). There is also a new Penrite oil called enviro something 5/30 - have seen it at rrpco for $55 odd. This oil is similar in spec to the total INEO oil recommended by peugeot. It is going through fair bit of oil. 2010 model, 40k on the clock. Cheers for the help again, much appreciated. Is the THP 1.6 the same engine as the mini N14 and N18? The after market pipes from Detroit Tuned are designed for these 2 engines. I would think they the thp to about 2011 would be on par with a N14. Is the kit the same for both the N18 and N14? I think the N18 is the MINI Cooper S version - as fitted to the R55 and on MINI (2007). The new MINI (here now or soon to be released) has gone to a 2.0 turbo. The N13/N14 is what BMW call it. I think this engine goes in the 116i series so may not be exactly the same, being north south and all that. Sure is. Safe to purchase you think? The braided line should be fine - perhaps even cheaper than getting ENZED/Pirtek to make one, if postage is ok.
You should probably consider buying the little heat shield that was a mod to the top fitting (if it's not already there). Item 13 in the attached pic. Last edited by SLC206; 23rd June 2014 at 02:53 PM. Apparently that site also sells an extra fancy heat shield with an added blanket. I've not seen this before. It must have come after 2011. May be put up a quick post on the etuners website - they have lots of experience with this engine and they should be able to answer it. But given that the pipe seems to fail on both Pugs and minis suggest they are probably the same design/manufacture. My mechanic commmented on how good it was, and is going to recommend it to his clients. No more oil leaks! Really happy with it. Thanks again for all your help, it was much appreciated. It was about $40 for shipping, came within a few days . Yes same as n14 engine. hey on the note of the n14 motor, has anyone fitted that updated (longer, stronger spring) timing chain tensioner. mini bought it out to be used on the n14 motor, after a big uproar in the states over the timing chain issue etc. it forces more tension on the chain and makes it work like it should. just seeing if anyone has fitted it. Last edited by PerlaNera; 9th July 2014 at 09:19 PM. OIl leaks and turbo feed lines on thp 1.6t motors. If u r replacing the oil feed line due to leaking union o ring on the stupid genuine part, make sure u also replace the return hose and the oil filter housing gasket kit while u r in there. The best oil feed and return hose kit available it one u can get from eBay. Brand is MAMBO and they are Taiwan made and very good quality and a very good upgrade to fit. 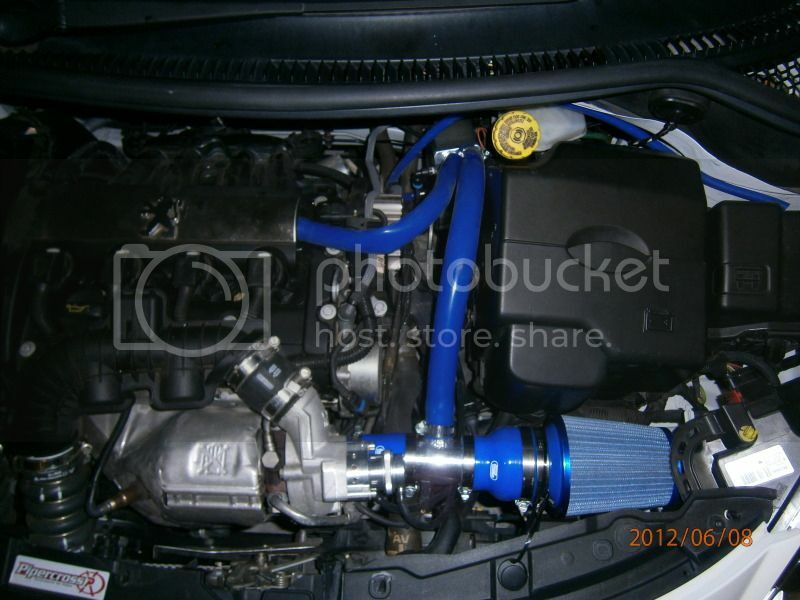 This brand also sells upgrade high performance turbos and are much better than the genuine brand. I will add a link. I am a Peugeot Citroen specialist mobile mechanic in Canberra and work all over act NSW and Vic. I fit these often and they are good. Another common problem is a worn waste gate causing a low boost Fault code. In the past a complete turbo was required to fix this. But finally now u can buy the turbo outlet housing separately for around $250 which comes off the turbo and has the new wastegate inside it. Saves replacing a turbo when the turbo is actually some thing that never fails on these, only the waste gate. Feel free to text me for any info on any problems u may have with a 1.6 turbo petrol motor or any Peugeot Citroën u need help diagnosing any issues with. Most of the early thp 1.6 engines up to 2013 have carbon issues. The thp200 motor doesn’t suffer from this issue. This product is not the best for removal of heavy build up, as it uses heatsoak method and This takes time. Gradually over a few thousand kms after doing the procedure. Best removal of severe build up is a soda blaster with soda or walnut shells of 24 grit. If u have not ever had the intake valves cleaned or maintained with the crc product at all and the cars done over 60”000km it’s suggested to remove the intake manifold and carry out an intake valve clean. Also if u have a lumpy idle or hesitation on acceleration this is the likely cause. Severely covered intake valves with oil vapour that’s solidified. Joys of a direct injection engine that has two pcv systems and Doesn’t spray fuel in the intake ports like older efi systems which wash the valves with fuel when the injectors spray. Many manufacturers are now using dual injection to overcome this issue. Having port injection in use in deceleration or idle conditions to wash the valves to prevent carbon build up and direct injection under load and acceleration and driving conditions. The best mods to do are blank off one pcv. Fit a pro vent 200 catch can to the other that goes before turbo as the pro vent by Mann Hummel is 99.9% effective and after doing a walnut or soda blast of the valves will prevent any future carbon build up from oil vapour. Any advice pls drop me a line. I specialise in carbon removal on direct injection engines and am a mobile Peugeot Citroën Renault specialist mechanic. 2. Oil turbo feed is a RP (replacement part) now. The RP uses a ceramic washer to connect to the turbo. Can be done in two hours. Get it fixed pronto. 1. My THP150 used same amount of juice to yours. My wife drove it mostly, but she is a bloody lead foot. Additional: These Prince engines love spark plugs. Change them every 25,000 kilometres. Last edited by 207cc Sport; 14th April 2019 at 01:56 PM.